I received this notice about the performance of the blog in 2010. I enjoy stats like these and thought some of you might enjoy them too. The blog was initiated in August, so the figures below are really for only 5 months – even though the auto email states for the whole year. This means the blog is a huge success, thanks to all you supporters and readers out there. Here’s to a great 2011, with hopefully more great Judy news. Besides, it’s the 50th anniversary of Carnegie Hall – time to celebrate! In 2010, there were 42 new posts, growing the total archive of this blog to 82 posts. There were 69 pictures uploaded, taking up a total of 9mb. That’s about 1 pictures per week. The busiest day of the year was November 28th with 455 views. The most popular post that day was Check Out The Judy Room 2010 Holiday Page. The top referring sites in 2010 were thejudyroom.com, networkedblogs.com, facebook.com, judyboard.webprime.de, and mail.yahoo.com. Some visitors came searching, mostly for judy garland news, judy garland lost tracks, mgm backlot, judygarlandnews.com, and judy garland. Thanks! I’m pleasantly surprised, even though the weekly figures have been great too. I just never added them up. For me, it’s more about getting the info out there as soon as I hear – as much news as possible. The fact that the numbers are so good is icing on the cake. Besides, I love doing it! Here’s to a great new year! And the Judy Room 2010 Year in Review coming soon! These are encouraging figures, Scott. 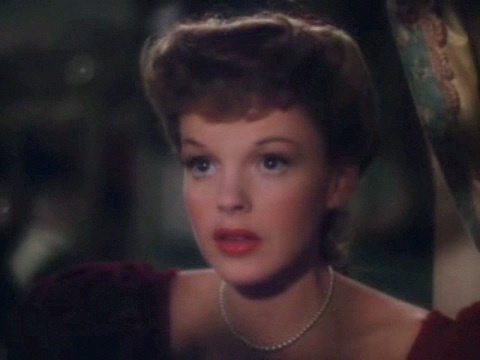 They attest to the work you have put into the blog, but also to the fact that interest in Judy Garland continues to grow. Congratulations, and a happy and healthy 2011.